I can undertake a signage assessment of your building with press ready sign designs which you can order from your approved sign supplier or source from me. I can offer advice on installation or complete the installation for you. I can provide service-user consultation materials to help you assess the effectiveness of the signs before you commit to final installation. If you choose Tom Orr, Accessibility by Design to complete your signage project, you can be confident of having a project partner with many years experiance. 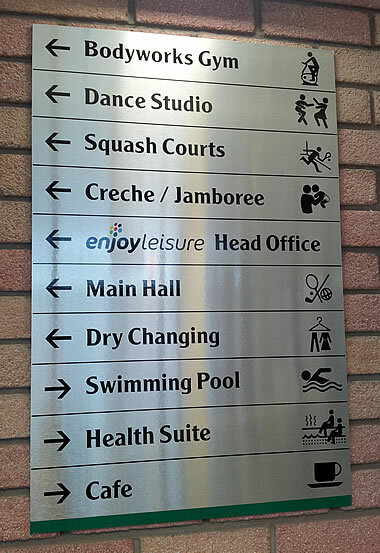 I have assessed, designed and installed sign systems for a wide range of clients.